Son of John Aitken, of "Roseneath," Wormit, Fife. 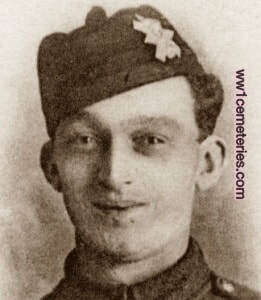 15th September 1916, aged 21. Son of Robert and Margaret Boyce, of "Argyle," Featherston, New Zealand. Native of Scotland. 29th August 1916, aged 28. Son of the late Bishop of Ripon and Mrs. Boyd Carpenter, of Ripon, Yorks. Husband of Mrs. V. C. D. Boyd Carpenter (now Mrs. H. C. Pelly) of Venars, Nutfield, Surrey. The inscription on his headstone reads: "Life is not for self but for others." 27th September 1918, aged 31. Son of Joseph and Elizabeth Braithwaite, of Matakana, Auckland, New Zealand. 18th August 1916, aged 35. 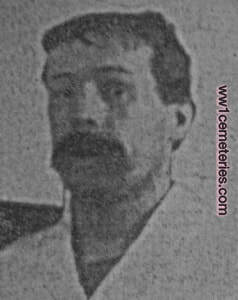 Son of William Charles and Catherine Cecilia Ellen Brown, of "Penchirche," Oaklands Rd., Bromley, Kent. Rector of Michaelhouse School, Natal. 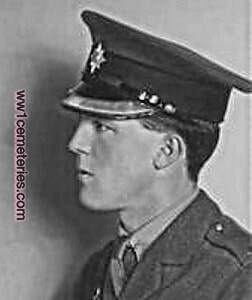 15th September 1918, aged 28. Son of the Rev. George Hew Butler, of Rosemary Cottage, Harting, Petersfield, Hants, and the late Florence Butler. The inscription on his headstone reads: "In loving remembrance from Rosemary Cottage and three brothers." 4th September 1916, aged 26. Plot Special Memorial A. 7. Mill House, Walker Gate, Newcastle-on-Tyne, and the late Duncan Cameron. 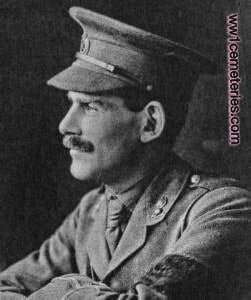 3rd September 1916, aged 36. Son of Henry N. Dudley, M.D., and Mary E. Dudley (nee Pemberton), of Durrow, Queen's Co. Previously wounded when serving as Lce. Cpl. with the 7th Bn. Royal Dublin Fusiliers, in Gallipoli, Aug., 1915. 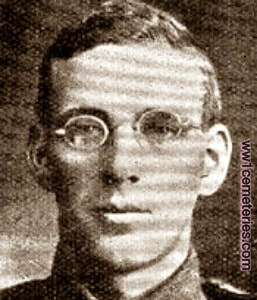 25th July 1916, aged 23. Son of Patrick and Katherine Fitzgerald, of 42, Abbotsford St., Abbotsford, Victoria, Australia. Son of William and Mary Gaynor, of Burnley, Lancs. his parents added the simple epitaph "R. I. P." to his headstone. 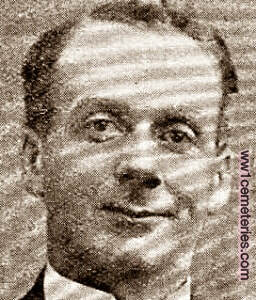 Joseph Gaynor spent 14 years as a Postman in Burnley and a further 7 as a Baker with the Nelson branch of the Co-operative Society. 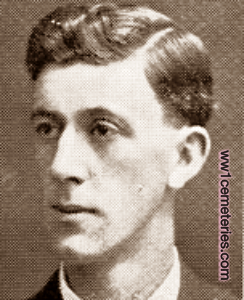 He enlisted in June 1915 and went out to the front at Christmas the same year. 5th January 1917, aged 38. Son of the late Thomas and Mary Ann Gibson. Native of Tongala, Victoria, Australia. 3rd September 1916, aged 19. Son of Major R. Hayes-Sadler, of "Cooleen," Farnborough, Hants. 8th January 1917, aged 25. Son of Matilda Hannah, and the late Reuben Herrod. Native of Paddington, New South Wales. 27th January 1917, aged 27. Son of David and Elizabeth Hilder, of "Lochinvar," 130, Frederick St., Ashfield, New South Wales. 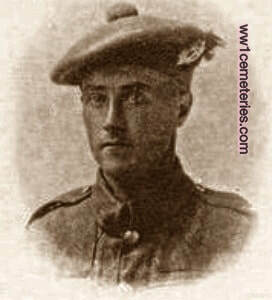 18th July 1916, aged 20. Son of William and Annie Isemonger, of 45, Trill Rd., Observatory, Cape Town. 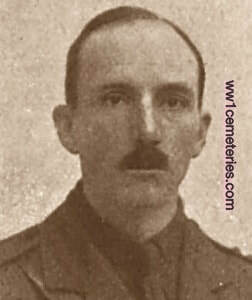 14th November 1916, aged 30. Only son of Albert and Kate Alice Jordan, of "Queensbrook," 34, Emo Rd., East Malvern, Victoria, Australia.